We went to Petaluma, CA for a Sunday of antiquing. It was so warm. I was excited as I got to wear a new dress of mine, the Dolores Doll in Atomic Flamingo print from Collectif Clothing London. 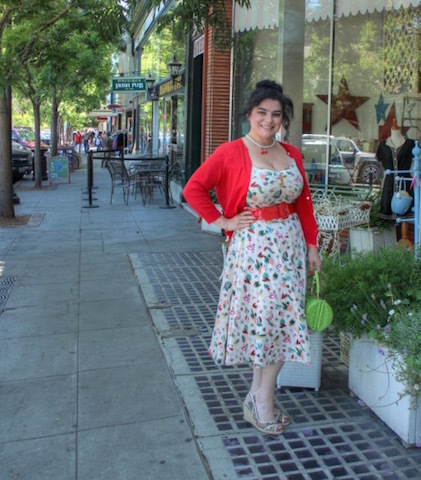 I loved the fit and that it has a vintage 50s circle skirt and lovely pink flamingos amidst a pattern of atomic mid-century modern starburst, tiki and fruits. I added a cherry necklace and red cardigan/belt and my wicker purse. Petaluma has some great antique shops, bookstores, and the downtown area is really clean, there are lots of restaurants and coffee shops and it’s a really nice place for families to spend time at. We went to Vintage Bank Antiques on Petaluma Blvd. N. and it’s an old bank turned into a multi-dealer mall with lots of high end items and paintings along with some collectibles. 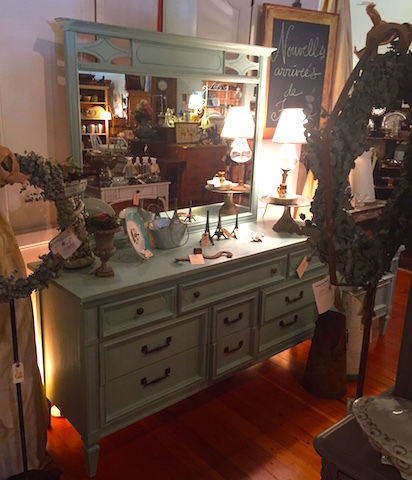 Summer Cottage Antiques on Kentucky Street is a cute shop with lots of shabby chic and chalk painted furniture items. 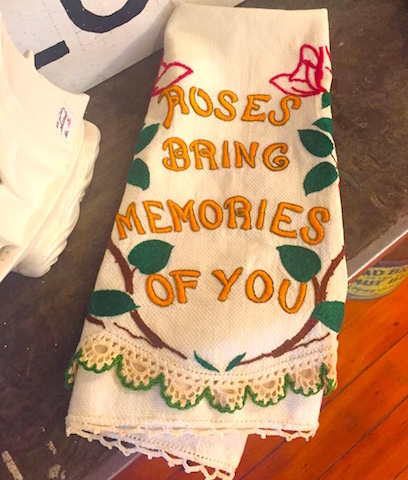 White Rose Antiques is another fun shop and it is located on the corner of H Street and Petaluma Blvd. and they have a lot of pottery and glass and also a nice selection of lamps. We stopped in at Sienna Antiques on Petaluma Bld. 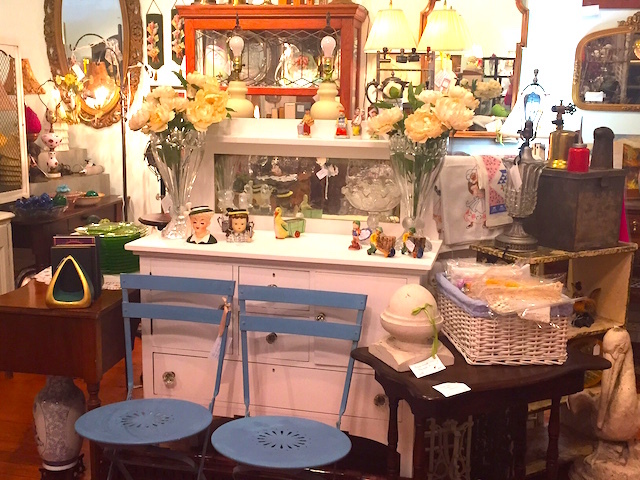 N. and it has a European flair of items from Italy and France with a nice selection of furniture, sculptures, painting, lighting, porcelains and pottery. Petaluma is located North of San Francisco and it is wine country, you’ll see vineyards along the way as you drive up. Lots to see and do in Petaluma, you will have a nice visit.